Baze Malbus is a Star Wars minifigure released in 2016. Baze was a freelance assassin who was at one point a part of a Rebel Alliance squad tasked with stealing the plans of the first Death Star. 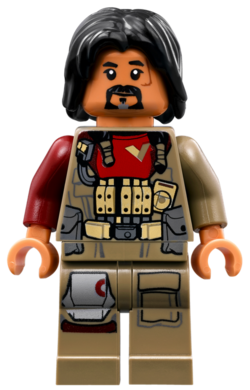 A computer-generated version of Baze as a part of a LEGO version of the first Rogue One Rebel cast photo. This page was last edited on 30 September 2016, at 09:53.